Congress requires that I disclose that our firm is a “debt relief agency” under the Bankruptcy Code. We help people file for bankruptcy relief under the Bankruptcy Code. As with all articles on this website, the contents of this article are not intended as legal advice for any specific legal problem. Nothing in this article is intended to create an attorney-client relationship between the author and the reader. The author is licensed to practice law in Nebraska only, if you are considering filing bankruptcy in a state other than Nebraska you are encouraged to consult with an attorney licensed in the state in which the bankruptcy case will be filed. The exemptions available to a debtor depends on the state in which the bankruptcy case is filed. 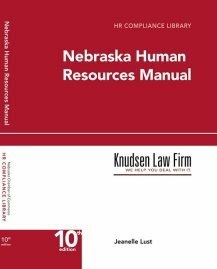 Some states, like Nebraska, have opted out of the federal exemptions under the Bankruptcy Code, so property that is exempt in Nebraska may not be exempt in other states and property that is exempt under another state’s law may not be exempt, or may be exempt but in a lesser amount, in Nebraska. Nebraska law provides a number of exemptions for debtors. The exemptions are available in state court collection cases and are available to debtors in bankruptcy. This article is directed at an examination of some of the more used exemptions in bankruptcy cases, and does not address all possible exemptions available to every debtor. This article also does not attempt to describe the process of claiming an exemption in collection cases. If your assets have been seized by the sheriff’s office for application to a debt, you have the ability to claim exemptions, but you have to claim the exemptions in writing in the case in which the execution was issued and then normally there is a hearing to determine your ability to claim the exemptions. If faced with an execution, you should consult with an attorney to determine the exemptions available to you. Homeowners are entitled to a $60,000 exemption for the equity in their home. This is a single exemption, so an individual who owns a home is entitled to a $60,000 exemption and a married couple is entitled to a $60,000 exemption. There is an interesting question where two unmarried individuals own a home, and whether the couple can each claim a $60,000 exemption or whether the home is subject to only one $60,000 exemption. There are no Nebraska cases on this point. A homestead is the place where the debtor lives. If the debtor lives in an apartment in Lincoln, the debtor’s home is in Lincoln, and not on the farmstead owned by the debtor in North Platte. If the debtor splits time between Lincoln and North Platte; is registered to vote in North Platte; files taxes using the North Platte address, the debtor’s residence is in North Platte and the exemption can be claimed on the North Platte property. As with all exemptions, the homestead exemption covers the equity in the home. If the home is valued at $200,000 and the liens on the home total $180,000 on the date of the filing of the bankruptcy case, the equity in the house is $20,000 and the exemption applies to exempt the full $20,000 equity in the home. If there is no equity in the home, then the exemption may be claimed, but the exemption is not necessary because there is no equity for the trustee to claim for the unsecured creditors. Assume that the house is valued at $200,000 but the debtors have paid down the first lien to $110,000. There is $90,000 of equity available in the home, or $30,000 more than the exemption. At this point the debtors face a choice. If a Chapter 7 case is filed the trustee is likely to claim the non-exempt equity, sell the home and take the $30,000 of equity (less the normal costs of the sale of the home) to distribute to the unsecured creditors. This will result in the sale of the home. To avoid a sale the debtors can file a Chapter 13 and pay the $30,000 equity to the creditors through the Chapter 13 plan. Because the value of the home is critical to determining the equity available for unsecured creditors, the debtors need to look beyond the assessed value of the home for real estate tax purposes. Over the last few years the county assessments have become more suspect, since the county‘s values may or may not have any relationship to the real value of the house. Most debtors cannot afford to obtain an appraisal of the house before filing the bankruptcy case. However, a debtor may be able to obtain a realtor’s market analysis, which, while not an appraisal, provides some indication of the value of the home. It is also possible for the debtors to borrow additional funds using the house as collateral or to grant a lien on the house to provide additional security for an existing debt. I am reluctant to give a lender a second lien on the homestead since most people want to protect the equity in their home from creditors. If the debtors borrow additional funds against their home as a part of pre-bankruptcy planning, the other issue is what can be done with those funds. If the debtors have unpaid priority claims, such as unpaid income taxes, the debtors can use the funds to pay the otherwise nondischargeable debt. Another possibility is to use the funds to pay student loans, child support, or estimated income tax installments. Funds can also be deposited into a Roth IRA or similar retirement account and the account can be claimed as an exempt asset. Great caution should be taken before converting assets to exempt assets before the filing of a bankruptcy case—bankruptcy planning is fine, but converting assets to exempt assets can be fraud depending on the facts and circumstances of each case. If you are considering bankruptcy, and you have significant equity in your home, you should consult with a competent bankruptcy attorney before you take any steps to try to covert nonexempt equity in the home to an exempt asset. Finally, do not, under any circumstances, deed or gift the homestead to another party immediately before filing the bankruptcy case. Any gift or transfer of the homestead will be viewed by the trustee as a fraudulent transfer and can be set aside for a period of four years from the filing of the deed to the property. It is a better result to argue with the trustee over the value of the home than to have to undo a transfer made before the debtors consult a bankruptcy attorney. Also remember that the transferee does not have to give you the property back and if you convey an interest in real estate to someone who does not return the real estate, you may not be able to force the return of the asset later. A common assumption is that debtors get to keep a vehicle in bankruptcy. That is not true in Nebraska. The truth is that debtors may be able to keep a vehicle depending on the equity in the vehicle. There is a $2,400 exemption available for equity in a vehicle driven by the debtor to and from work. The exemption applies to the equity in the vehicle. For example, if the debtor has a 2013 Malibu valued at $12,000 with a $14,000 lien against it, there is no equity to exempt and the trustee is not going to claim the Malibu because there is no equity available to distribute to creditors. If the lien on the Malibu is $9,000 there is $3,000 in equity. Of the $3,000 equity, $2,400 is exempt as a tool of the trade and the $600 balance could be claimed under the wildcard, or the debtors may take a chance that the trustee will not claim the equity and use the wildcard exemption for other property. If the debtor and her husband own the Malibu, and only the debtor is filing, the equity has to be divided between the owners. If there is a non-filing owner, such as a spouse who is not filing bankruptcy or a mother or father who cosigned the loan and is on the title to the vehicle as a co-owner, then the equity is limited to the debtor’s ownership interest in the vehicle. Going back to the Malibu, the equity is $3,000 (value of $12,000 minus the $9,000 loan) which is divided in half between the filing wife and the non-filing husband, which results in a net equity of the debtor in the vehicle of $1,500 ($3,000/2) which is all exempt under the tools of the trade exemption. In a joint case, where the husband and wife both file, if the wife is employed outside of the home, the wife can claim up to $2,400 of the equity in her car as exempt. If the wife drives the jointly owned Corvette to and from work, and the Corvette is valued at $18,000 with a $16,000 lien on the vehicle, the wife can claim the full $2,000 equity as exempt under her tool of the trade exemption. The tool of the trade exemption is not available to exempt a vehicle that is not used to drive to and from work, so if the wife takes the bus to work and the vette sits in the garage during the week, the wife cannot claim the tools of the trade exemption on the vette. The wild card exemption is available under these circumstances. In a case where one of the debtors are not employed outside of the home, or where both debtors are retired, the tool of the trade exemption cannot be used because the debtors have no job to drive to. There is no special exemption for school cars, so if the family owns a school car with significant equity, the car may be at risk of being claimed by the bankruptcy trustee. The wildcard exemption is available to cover part of the equity in the school car. Vehicles are valued by reference to the Kelly Blue Book value (www.kbb.com). If the vehicle has damage, the damage should be disclosed in the schedules along with an estimate of the effect of the damage on the value of the vehicle. If a car is valued at $12,000 but needs $3,000 of transmission repairs, the debtor might consider valuing he vehicle at $9,000 for purposes of the bankruptcy case. Household goods, household furnishings, household computers, household appliances, books, or musical instruments which are held primarily for personal, family, or household use of the debtors or the dependents of the debtors are exempt up to $1,500 or $3,000 in a joint case. Valuation of personal property is very subjective. Value is not the cost of replacing the property with new property. The value is what it would cost to replace the item with a similar item in the condition of the debtors’ property. The value of a 15 year old used couch is not the cost of a new couch—the debtors need to value the couch at what a used couch costs. Trustees in Lincoln do not usually require a complete list of all of the property that the debtors own. Usually, identifying items such as “kitchen table and 4 chairs” or “child’s bedroom set” with a value is sufficient. Except in cases where the items are collectable—such as antiques or expensive china—dishes, flatware, and cooking utensils, do not need to be separately counted and valued. More detail is better than less, but in most cases the trustee is not interested in selling personal property. If the debtors use their computers for business purposes, the home furnishings exemption does not apply—but the computer may be exempt as a tool of the trade or under the wild card. If a debtor is a musician and uses the trumpet for business purposes, the trumpet is not exempt under the household goods exemption—but a tool of the trade or wild card exemption may be available. If the debtor plays at church, or for no compensation, then the instrument is a household item and the exemption should apply. The debtor’s immediate personal possessions are exempt and there is no limit on the value of the immediate personal possessions. Typically, the immediate personal possession exemption is used to exempt the debtors’ wedding rings, and perhaps any jewelry received as a gift from a spouse or family member. If the debtors have expensive jewelry, or have a lot of jewelry, it is worth having the jewelry appraised before the bankruptcy case is filed. Be sure not to use an insurance appraisal, because the jeweler, in valuing the jewelry for insurance purposes, is valuing the property at replacement value and not at its current fair market value. In many cases, the existing fair market value of the jewelry is salvage value of the gold and the stones, with little or no value assigned to the “design” of the piece. No value is given for sentiment—grandmother’s broach is just a broach. It might be possible to use this exemption for items other than jewelry. The item has to have some sentimental value, so dad’s shotgun might be an immediate personal possession in son’s bankruptcy case, or it may not. There are very few reported cases under this exemption. Professionally prescribed health care aids for the debtor or a dependent of the debtor are exempt. There is no limit to the amount of the exemption. The exemption applies only to professionally prescribed healthcare aids. So a debtor’s cpap machine is exempt and a walker may be exempt if the walker was prescribed, but not if the walker was simply bought for the debtor. An interesting issue has to do with motorized chairs that may be owned by the debtor; are necessary for the debtor’s mobility but were not professionally prescribed. If there is equity in the property, it is possible that the trustee may claim the asset. “Necessary wearing apparel” of the debtor and the debtor’s family is exempt from execution. There are no cases regarding what is “necessary.” Presumably, normal clothes are necessary but items like fur coats may not be necessary wearing apparel. There are no cases giving any guidance to what items may be considered necessary. The absence of case law may be due, in part, to the lack of a market for second hand clothes. Only in cases where the debtor owns some expensive or specialized clothing, like a fur coat, or some kind of a collectable uniform (a Burden’s Sharpshooter’s uniform from the Civil War) or costume (the original Darth Vader mask) is it likely that an objection will be raised on the clothing exemption. A related question is how are clothes valued? My rule of thumb is that a typical adult debtor probably has somewhere between $300 and $500 in clothes; possibly more if the debtor is a professional with several business suits. Children’s clothes are more difficult to value since the children may outgrow the clothes before the clothes are worn out or the children may wear out clothes, particularly shoes, quickly so that there is little value left at the time of the filing of the case. A rule of thumb is $50 to $200 per child depending on the age of the child and the condition of the clothes. Debtors may also select personal property valued at up to $2,500 other than wages under the wild card exemption. The wild card used to be known as the “in lieu of homestead” exemption and was available to persons who did not have or did not claim the homestead exemption. In 1997 the law was changed to permit all natural persons to claim the wild card exemption. In bankruptcy cases, the specific exemption is generally claimed first and any remaining equity in personal property is exempted under the wild card. If there is non-exempt equity in a vehicle, which equity can, up to the $2,500 per debtor limit of the wild card exemption be claimed as exempt under the wild card. Thus, a single debtor can claim up to $4,900 in equity in a vehicle driven to work (the $2,400 tool of the trade exemption plus the $2,500 wild card). The wild card can also be claimed on an income tax refund, bank account, and cash in the debtor’s possession or an investment account. The entire federal and state earned income tax credit refund is exempt. In a bankruptcy case, for low income debtors, the earned income tax credit comprises a majority of the debtors’ income tax refund. In cases outside of bankruptcy, any debtor entitled to an earned income refund should keep the refund separate from any other money to avoid the argument that the refund lost its identity after being comingled with the debtors’ non-exempt assets contained in the debtors’ bank account. Retirement accounts under sections 401, 403, 408, 408A, 414, 457 and 501(a) of the Internal Revenue Code are exempt under federal law. Individual retirement accounts are exempt to $1,245,475 as of 2015 (the amount of the exemption is adjusted periodically due to inflation, so the amount continues to increase). In most cases the cap on the IRA exemption is not relevant. The good news is that federal law permits a blanket exemption of retirement accounts without regard to the age of the debtor, the need for the retirement funds in the future for the debtor, or a dependent of the debtor, or the prospects that the debtor can rebuild his/her retirement savings after a discharge in bankruptcy. These factors are relevant in determining the amount of any exemption under Nebraska law, which exempts retirement accounts and IRA’s but only to the extent necessary to provide for the future expenses of the owner or a dependent. The Nebraska provision requires that the Court make a case by case determination of the amount of the exemption, which is expensive for the debtor to litigate. However, in one of the few pro-debtor provisions of the Bankruptcy Reform Act of 2005, Congress extended the exemption afforded 401(k) plans to most retirement accounts. In order to determine whether your retirement account is exempt, you should consult with a bankruptcy lawyer before making any changes to your account. Many debtors use their retirement accounts to pay otherwise dischargeable debts prior to consulting with a bankruptcy attorney. It is usually a bad idea to use exempt assets to pay dischargeable debts, but each case is different and there may be other valid reasons to use retirement assets that your creditors may not otherwise be able to claim to pay creditors. There are other exemptions available to debtors in bankruptcy cases in Nebraska. If you have a question about whether an asset is exempt, please contact one of our bankruptcy lawyers.